Yo ho, let’s go! 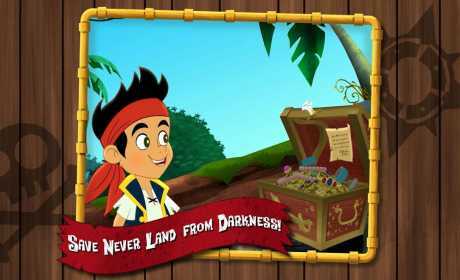 Join Jake and his crew of pirates on an epic quest to save Never Land from darkness! 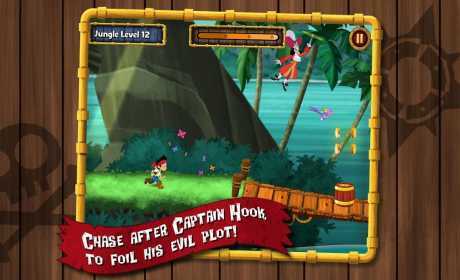 Race through Jungle Run Isle, Dry Dock Rock, and Lava Tiki Island in this swashbuckling adventure to defeat the sneaky Captain Hook. 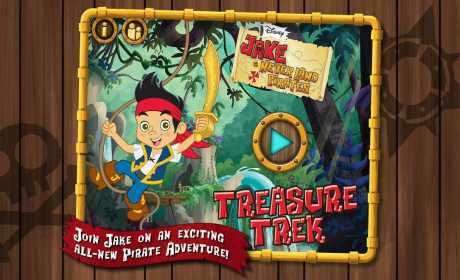 Play as Jake as you run, jump, swim, climb, fly, and zip line to collect Doubloons and earn a high score! • Animated stories featuring your favorite Pirates in all the land! • Collect gold Doubloons to earn a high score! • Grab power-ups along the way to defeat Captain Hook! • Unlock more islands and earn new rewards with a multi-story approach that offers maximum replay ability!